From Wikipedia, the free encyclopedia. Patsy Ruth Miller (January 17, 1904 – July 16, 1995) was an American film actress. 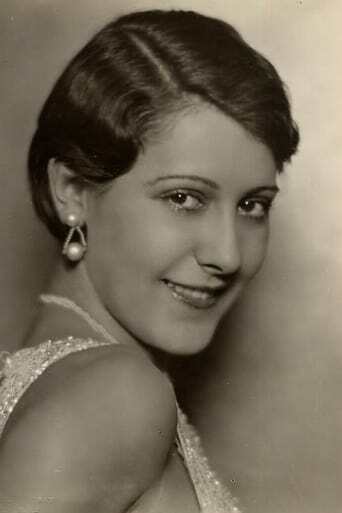 After being discovered by the actress Alla Nazimova at a Hollywood party, Patsy Ruth Miller got her first break with a small role in Camille, which starred Rudolph Valentino. Her roles gradually improved, and she was chosen as a WAMPAS Baby Star in 1922. In 1923, she was acclaimed for her performance Esmeralda in The Hunchback of Notre Dame opposite Lon Chaney, Sr.. In the later part of the decade Miller appeared chiefly in light romantic comedies, opposite such actors as Clive Brook and Edward Everett Horton. Among her film credits in the late 1920s are Broken Hearts of Hollywood (1926), A Hero for a Night (1927), Hot Heels (1928), and The Aviator (1929). She retired from films in 1931. She made a cameo appearance in the 1951 film, Quebec, which starred John Barrymore Jr., and stated in her autobiography that she had participated as a joke. She came out of retirement to do the film Mother in 1978. She later achieved recognition as a writer. She won three O. Henry Awards for her short stories, wrote a novel, radio scripts, and plays. She also performed for a brief time on Broadway. Miller was married three times, the first two ended in divorce. Her first husband was film director Tay Garnett and the second was screenwriter John Lee Mahin. Her third husband, businessman E.S. Deans, died in 1986. The frequent news about her love life once earned Miller the sobriquet the most engaged girl in Hollywood. Patsy Ruth Miller died at her home in Palm Desert, California in 1995, aged 91. Description above from the Wikipedia article Patsy Ruth Miller, licensed under CC-BY-SA,full list of contributors on Wikipedia. Jan 17, 1904	1904-01-17 In St. Louis, Missouri, U.S.